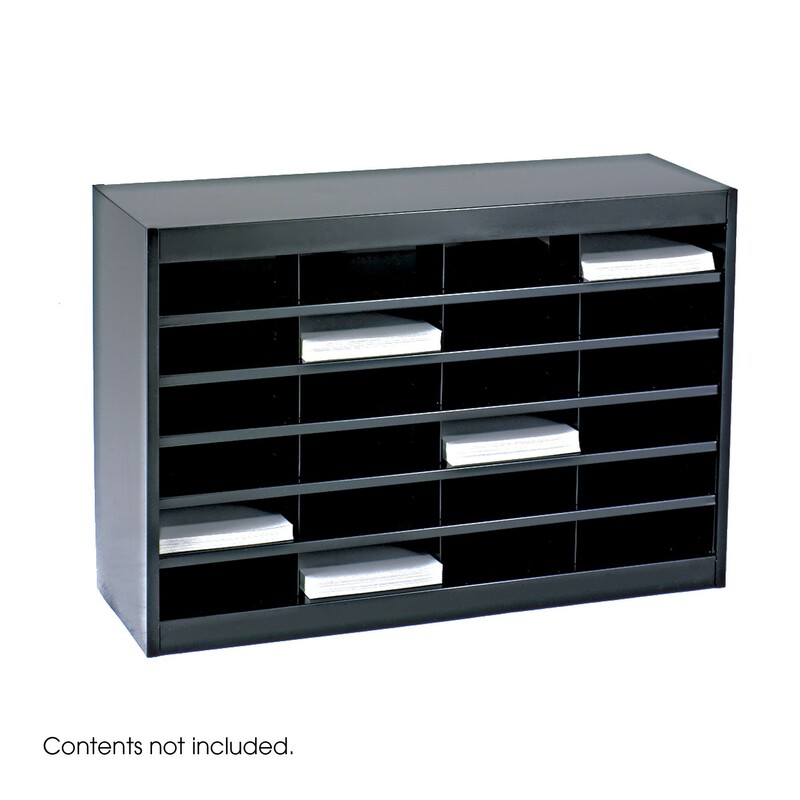 24 Slot Letter Size Literature Organizers - GS Direct, Inc.
Quality-built, premium steel unit has a strong steel frame, shelves and dividers with a solid fiberboard back. Interlocking design of the shelves and dividers add extra strength to hold up to the heaviest load. Wide shelf fronts serve as generous label holders. 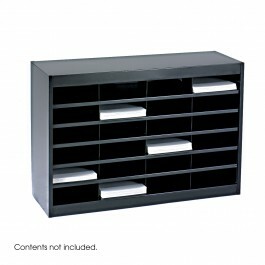 Unit features letter-sized compartments. Each compartment will hold up to 750 sheets. The organizer can be placed on the floor, desk or table, and can be mounted to a wall with optional Wall Mount Brackets (9200BL). Available in Black, Gray and Tropic Sand.